Heat pumps are the most energy efficient type of electric heat, particularly for the southern United States. When they are installed properly, heat pumps can deliver one‐and‐half to four times more heat energy, measured in British Thermal Units, or BTUs, to a home than they consume. A ‘heat pump’ is a device for cooling or heating an enclosed space by removing heat from interior air and transferring it outside or by absorbing heat from outside air and transferring it inside. Think of the way your refrigerator removes unwanted heat that accumulates when you open the door and place warm food inside. One can feel the heat being pumped out of the refrigerator and dumped back into the kitchen from the refrigerator’s exhaust fan. In a similar way, a heat pump extracts the heat that is present in the outdoor air in winter and deposits it inside your home to keep you warm and comfortable. The process is simply reversed in the summer months, with the heat pump removing unwanted heat from the inside of your home and depositing it outside. What makes a heat pump so efficient? The nature of how a heat pump works makes it a more energy‐efficient, eco‐friendly and budget friendly choice for heating and cooling your home. This is because a heat pump simply moves heat instead of creating it. Unlike a furnace, which must use fossil fuel or electricity to create heat, the heat pump simply collects the heat that already exists and releases it where you desire, either inside or outside of your home depending on the season. Click here to calculate an estimate on annual savings from upgrading your heat pump. Why do heat pumps have supplemental heat? Heat naturally migrates to colder areas through windows, doors, ceilings and walls. Insulation, weatherstripping and caulk slow down this heat loss but cannot eliminate it. The colder the outdoor temperature becomes, the faster a home loses heat. The supplemental heater in a heat pump assists the system during extreme cold weather when a home may lose heat faster than the heat pump can replace it. Electric heating elements in the indoor unit (often located in an attic or interior closet space) turn on automatically to make up the difference. These heating elements use considerably more electricity; fortunately, the heat pump only will use them when absolutely necessary. This supplemental heat also can be turned on manually by adjusting the heat pump’s thermostat to “eheat,” or emergency heat. Please note: doing this will stop your heat pump from operating in its normal, efficient manner. In addition, the supplemental heat will turn automatically if you adjust the thermostat temperature setting by more than one or two degrees at a time. If your heat pump is operating in “eheat” mode without due cause (outdoor temperatures above freezing, no drastic changes to thermostat), it is possible that your system is malfunctioning. You should contact a licensed heating and cooling professional and have it serviced immediately. Is the quality of heating from a heat pump different than that of other heating systems? It is not different in terms of the result – a warm and comfortable home. In the heating mode, the temperature of the air supplied to the vents of your home by the heat pump is not as hot as air supplied by a furnace. Air entering a room from a heat pump is normally 85 to 90 degrees compared to 100 to 105 degrees from a furnace. A heat pump warms a room gradually and more uniformly than a furnace. The air coming from the vents may feel cooler than that from a furnace, but the heat pump will heat your home to the desired temperature on your thermostat more efficiently. So does a heat pump only heat my home? No. Your heat pump also will cool your home. Even though the heat pump can provide heat, it still uses a basic refrigeration cycle to do this. Heat pumps can change which coil is used as the condenser and which is used as the evaporator. This is accomplished by a reversing valve, a feature unique to heat pumps, which allows it to extract heat from the inside of the home and release it outside. What are HSPF and SEER and why are they important? 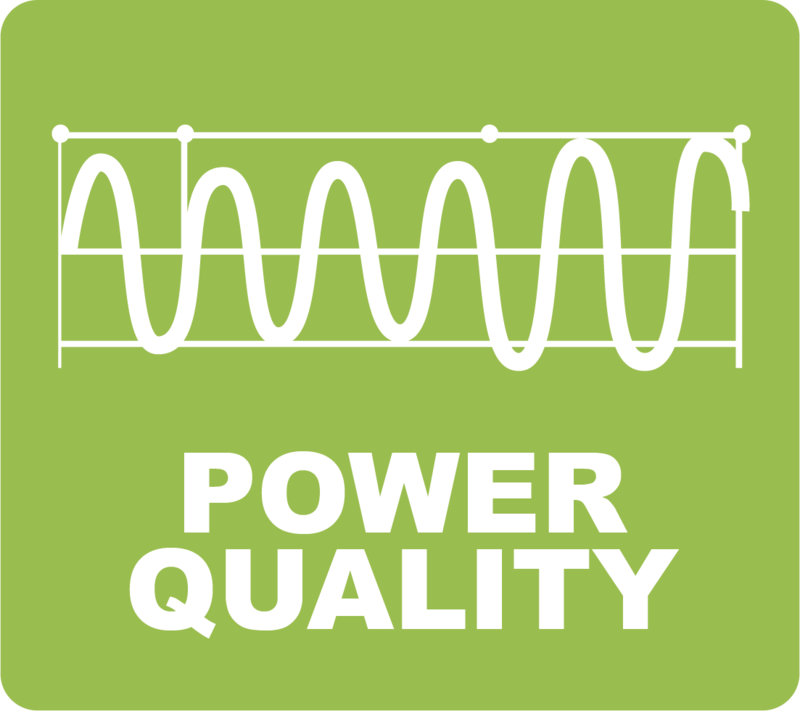 A heat pump’s energy efficiency is rated in two ways. Heating Seasonal Performance Factor, or HSPF, measures the heating efficiency. Seasonal Energy Efficiency Rating, or SEER, measures the cooling efficiency. HSPF is the industry standard for measuring the ratio of BTU heat output to watts of electrical energy consumed. The higher the number, the greater the efficiency is of the heat pump. Keep in mind when making your purchase that a HSPF of 6.8 is the minimum for today’s heat pumps. SEER is the total cooling output BTUs provided by the unit during its normal annual usage period divided by its total energy input during the same time period. The higher the SEER number of the heat pump, the greater the efficiency, which in turn means greater energy savings. The minimum efficiency standard for a heat pump is a 13 SEER. When you install an electric geothermal heat pump, you're using the earth's energy to reduce your heating and cooling costs. For year-round comfort a geothermal heat pump is the most efficient heating and cooling system available. An electric heat pump also means there's no danger of gas leaks if the pilot light goes out and no worries about carbon monoxide poisoning from a faulty gas heating system. There are no flames, fumes or flues, so there's nothing to light, vent or clean. First Electric Cooperative offers a Home Improvement Loan program to finance the purchase of your heat pump. For more information contact your local First Electric office or click here to contact us.